LOOKING FOR BACHELORETTE PARTY FAVORS? 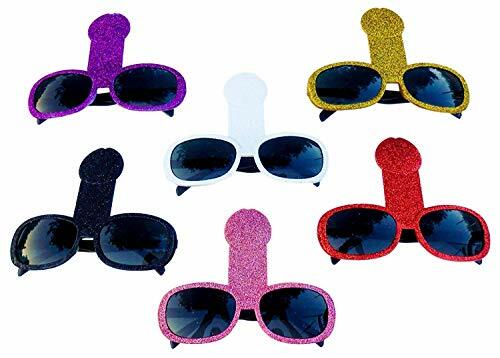 These Glittered Horn Glasses make for an instant party with memorable moments and fun photos. These bachelorette party supplies are a necessity. COLORS - Each package contains pink, purple, black, gold, red and white colored glasses. Glasses are covered with glitter. Adorn your beautiful new BRIDE TO BE in the white sparkling glitter glasses. She'll stand out in the crowd with our bachelorette party supplies. GUARANTEE: We stand by our glasses with a 100% money back guarantee. If these bachelorette party favors does not make you and your loved ones smile, then your money back.